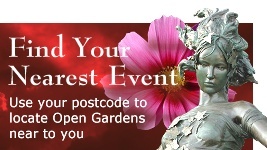 Our Open Gardens is a major annual event which has been taking place in the village for 30 years this year. A good range of gardens will be open, ranging from large, sweeping landscapes with fantastic views to small cottage gardens packed with plants. As well as all the lovely gardens on display there will be many other attractions including an art exhibition, trips on the canal, morris dancers, vintage cars, the beautiful historic church and chapel to visit and an exhibition at the History Centre. Refreshments, including teas and homemade cakes or Pimm's and Prosecco, will be served in some of the gardens and ploughman's lunches will be available in the Memorial Hall. Proceeds from the event will go towards repair and maintenance of the 11th century village church and the community rooms at St Andrews. 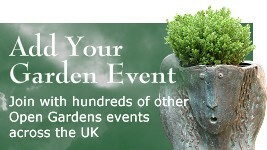 Plants can be bought from the Memorial Hall and some of the gardens. £5.00 in advance, £6.00 on the day, under 16s free. Price includes parking and courtesy buses between car parks and around the gardens. 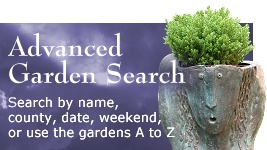 In advance from Bond Residential, Estate Agents, Maldon Road, Danbury (tel 01245 222 856); on the day from any participating garden or from the Memorial Hall.